Owning a Home is Still the Dream! 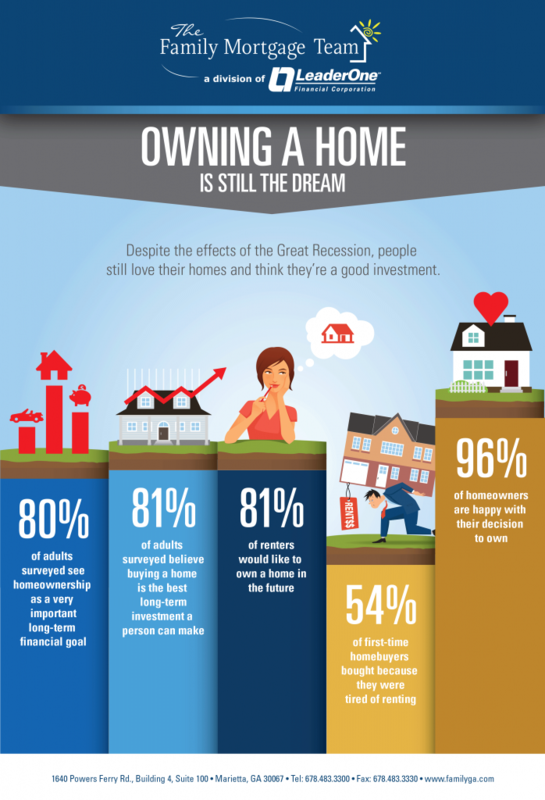 Despite the still recent economic recession, owning a home is still the American Dream and many consider the investment of owning a great one! Most renters hope to own a home one day, adults view homeownership as the best long-term investment and almost 100% of homeowners are happy with their decision to buy. And with rates this low, now is your time to buy in the Atlanta area! Let The Family Mortgage Team of Atlanta assist you in reaching your financial goal to be a part of the American Dream, we’re sure you won’t regret your decision!